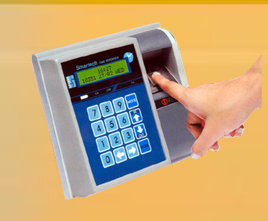 Smartech specializes in electronic display systems that are efficient tool to convey information. 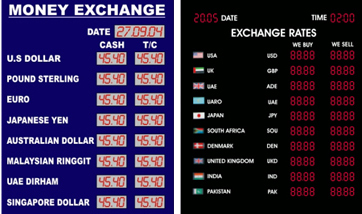 Currency Exchange Rate Displays are one of them. • Display type : High brightness seven-segment LED display. • Display format : Numeric. • Display size : Number of windows & no. of digits per window as per the client requirement. • Option to display date & time. • Battery Backup provided to retain data in memory in case of power failure. Tel :- ( 91 - 22 ) 6797 5484 / 85.